What is the future of post offices in the UK? The Postal Services Act of 2011 saw the flotation of UK post offices and the Royal Mail on the London Stock Market, ending their state ownership just one year short of their 500th anniversary. After many publicised closures and massive changes in the way people communicate, are post offices still important in the UK nowadays? To answer this question, we examine the role that post offices play (especially in rural communities), the services they offer and what is being done to ensure their survival. What factors have caused the closure of UK post offices? One factor which has hit post offices is the way that Britons in the UK communicate. The advent of emails and social media means that people no longer keep in touch by letter or even send birthday cards. This has been made worse by the fact that they face increasing competition from private firms since they lost the monopoly to deliver mail in 2006. Post offices used to be the place where people could cash their weekly state benefits such as pensions and child’s benefit. Since these payments are now made through bank deposits, does this mean that post offices are no longer needed? What is the role of post offices nowadays? If you just considered their mail services, you would perhaps be right in assuming that the future of UK post offices is bleak. One bright spot on the horizon is that although Britons don’t send as many letters as they used to, the number of parcels being sent has skyrocketed by over 50%. 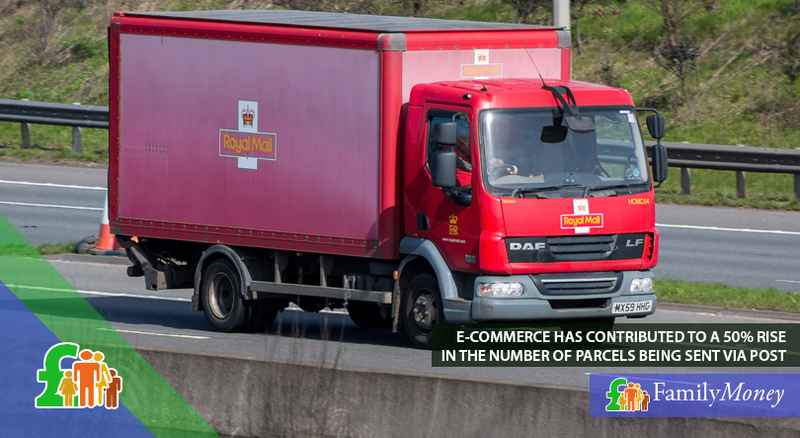 This is primarily due to the increase in e-commerce in the UK which is now worth an estimated £2 billion a year and which is expected to rise. Before writing off post offices as a lost cause, we should also consider what else they provide. They offer many other important services to Britons. In research carried out by Citizens Advice, they found that 3 out 4 people polled used their post office for government services including half who had visited their local branch for its Passport Check & Send Service. In light of closing high street banks and inaccessible ATMs, post offices also have a vital role to play in offering banking services. 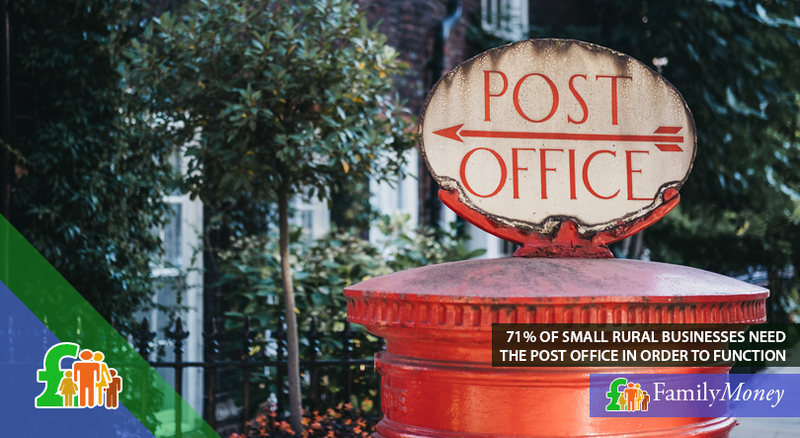 A fifth of people interviewed also used their local post office to make cash withdrawals (24% in rural areas compared to 19% in urban centres) while 71% of small rural businesses said they needed post office services to run their business. It’s quite obvious from the statistics that there is still a real need for post offices in the UK especially in rural communities. In 2017 110 million banking transactions were carried out in post offices. As well as these services, customers are also able to pay utilities. Citizens Advice found that this was particularly important for older people in rural communities. Since the closure of rural branches which were considered to be uneconomical to subsidise, there has been an increase in the number of community-run post offices. These are run from village shops or pubs and ensure access to key services for those in isolated communities alongside their other work. Apart from the full range of financial services, such post offices have an important role to play in the life of the community. 86% of those interviewed by Citizens Advice said that such a post office reduced social isolation with many agreeing that it became an informal meeting place. Running a post office from a shop also increased passing trade with 7 in 10 rural consumers saying that they bought essential shopping such as groceries from the post office. The role of post offices in communities has been recognised by the government. In 2018 their 3-year funding of £640 million to pay for the modernisation of UK post offices came to an end, bringing their total financial contributions to the network to £2 billion since 2010. However, in December 2017 the government pledged that this funding would continue up until March 2021. They guaranteed £210 million to further modernise post offices by extending opening hours and reducing queuing times. 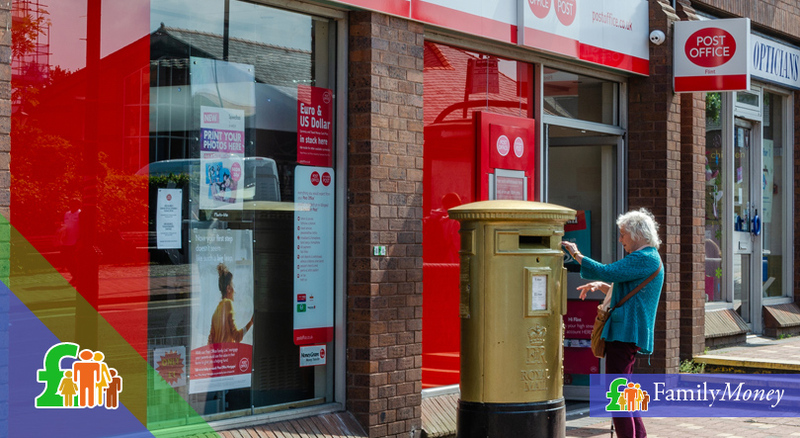 A further £160 million funding was earmarked for the ‘last shop in the village’ or community-run post offices to ensure rural communities still had easy access to the services they needed. Is the post office network adequate? Despite this additional boost in funding, there are two main criticisms of the government regarding the post office network. The first concerns their claim that 99.7% of Britons now live within a 3-mile radius of a post office. When you bear in mind that their criteria is measuring as the crow flies, it’s misleading. An estimated 15 million people live much further than that, and more needs to be done to extend the network. One of the stumbling blocks that pub or shop owners face in applying for community status to offer post office services is the bureaucracy involved. Citizens Advice have been leading the campaign to make the application process much easier. Will post offices continue into the 21st century? It’s quite obvious from the statistics that there is still a real need for post offices in the UK especially in rural communities. Without a local branch and especially for the less tech-savvy older generation, it’s much more difficult for them to have access to the banking and government services they need. Post offices will continue into the 21st century, but perhaps with a different business model. Community-run branches are the ideal solution, but the application procedure must be simplified to encourage other pub or shop owners to add these services to their core business. The benefits don’t only concern the practical but also the additional support of a local meeting place which strengthens ties in the entire community.